Knowing the industry we are so closely connected to is anticipated to grow as rapidly as this study has determined, makes us proud to lead in our industry segment of the manufacturing and repair of inflight entertainment and lighting equipment. The IFE mission has always been to extend service to fleets of commercial aircraft, as well as single corporate jets because we believe in offering service, upgrades and innovation to the INDUSTRY…not select carriers. With our extensive line of products, as well as maintenance, repair and replacement expertise – we are perfectly situated to grow along with the IFEC industry segment. What will be the market growth till 2024 and what will be the resultant market forecast in the year? What segment and region will drive or lead market growth and why? A comprehensive mapping of the competitive landscape and the market participants behavior. What are the key sustainability strategies adopted by market players? The global In-Flight Entertainment and Connectivity (IFEC) market size is expected to reach USD 9.82 billion by 2024, according to a new report by Grand View Research, Inc. The emergence of Bring Your Own Devices (BYOD) and development of novel wireless solutions are expected to boost market growth. The increasing commercial aviation & fleet expansion have further bolstered industry growth. Growing availability of HD content across dynamic platforms are expected to increase IFEC systems’ demand. These systems can be categorized on the basis of product into hardware, connectivity, and content. Hardware is divided into portable and fixed while content is classified as streamed and stored. The portable hardware segment is expected to grow at a remarkable pace owing to the enhanced customer experience the devices offer. Recent administrative regulations pertaining to the IFEC integration into aircraft in countries such as the U.S. are further expected to throttle industry growth. These regulations restrict the in-flight entertainment & connectivity integration to a certain degree to offer safe travel to passengers by minimizing the possibility of mishaps associated with the cabling and weight of these systems. However, the IFEC system associated costs of content services and procurement costs are expected to pose challenges for the industry. The recent BYOD trend across industries, along with the advent of wireless portable electronic devices across dynamic sectors, is expected to impel the global IFEC market growth. Opportunities are presented by the market owing to the launch of innovations such as high throughput satellites in the Ka band and Ku band. This innovation is expected to increase the data speeds for connectivity and make the service provision cost efficient. With pressure rising in the airline sector as the major players are adopting cabin connectivity, other players need to adopt it to stay competitive. The number of narrow body application planes in North America and Asia Pacific is multiplying with intense competition in the airlines industry, as a result of which the demand for these systems is to be significant in this segment. The U.S. and Canada are attractive markets on account of high flight connectivity and development in the technology followed by Europe. The Asia Pacific in-flight entertainment and connectivity industry is expected to grow at a CAGR of close to 20% from 2016 to 2024. As the industry is dynamic, upgrades of the existing infrastructure incur high operational costs, installation time, and certification requirements. For embedded systems, it is thus necessary to ensure high returns on investment made in the infrastructure. The BYOD segment imposes logistical requirements and the need for updating & maintaining consistency across the fleet increases technological complexity. Key industry participants include Cobham Plc., Global Eagle Entertainment Inc., Lufthansa Systems AG, Iridium Communications Inc., Thales Group S.A., OnAir, Viasat Inc., Gogo LLC, Panasonic Avionics Corporation, and Zodiac Aerospace S.A. The hardware suppliers are anticipated to dominate the content delivery industry to offer exclusive content, along with creating new revenue streams for airlines. In addition, they concentrate on evolving data storage competencies or collaborating with data centers to increase data volumes. The global IFEC market size was estimated at USD 3.13 billion in 2015. The IFEC service portfolio encompasses the delivery of enhanced connectivity and entertainment services to passengers using various hardware, content, and connectivity preferences. IFEC service delivery is becoming a unique selling proposition where dynamic technologies and connectivity service delivery podiums empower air flight carriers to differentiate their offering either by hi-tech feature conveyed to passengers or by cost. 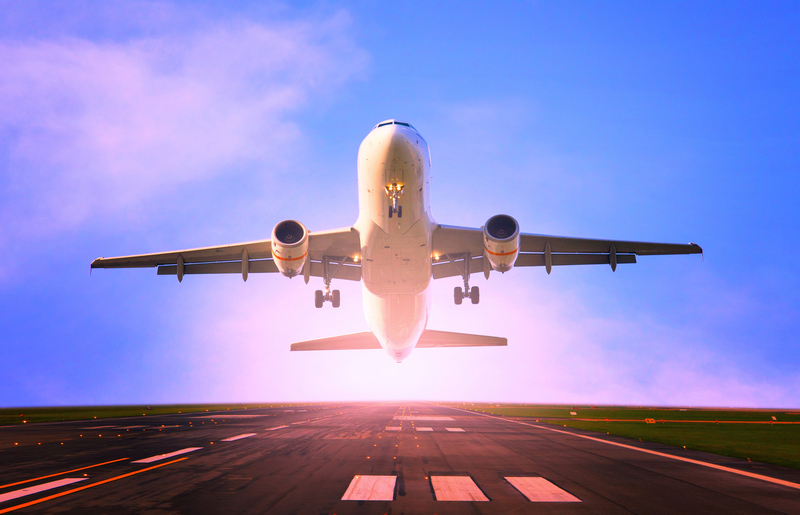 The substantial growth prospects of the in-flight entertainment & connectivity market can be attributed to the surging eminence of wireless solutions’ adaptability in single and twin-aisle aircraft. The launch of high throughput satellite (HTS) has marked the emergence of another revolution in the in-flight connectivity era by enabling enhanced connectivity through Ka-band for streaming media content, geo-positioning services, and several other applications. Upcoming favorable initiatives by the Federal Aviation Authority (FAA) in conjunction with Federal Communications Commission (FCC) have permitted the use of portable electronic devices (PEDs) inside the aircraft premises with certain regulatory instructions to be followed thereafter. Hardware suppliers are anticipated to dominate the content delivery industry in order to offer exclusive content, along with creating new revenue streams for airlines and concentrating on evolving data storage competencies or forming tie-ups with data centers to increase data volumes. Companies such as Thales Group and Panasonic Avionics Corporation provide IFEC systems and other associated accessories to be used in combination for a dynamic IFE immersive experience. The in-flight entertainment & connectivity market has witnessed rapid consolidations in the recent years as numerous hardware suppliers move into content service delivery, thereby positioning themselves as system integrators. Major hardware vendors, such as Panasonic Avionics Corporation and Row 44, have formed a strategic alliance to deliver international content as a part of their hardware in-flight entertainment & connectivity system package alongside acquiring contracts from live television service suppliers. Over the years, passengers’ content browsing competencies have reflected mounting preference towards web-based interfacing access to content, rather than stored content browsing capabilities. Owing to these trends, suppliers of IFEC systems have started catering to consumers’ preferred demands. Thales Group has launched AVA wireless streaming media solution; similarly, Panasonic Avionics Corporation launched the eXW solution for this purpose. Narrow body aircraft (NBA), wide body aircraft (WBA), and very Large Aircraft (VLA) are the three major categories of aircraft that dominate the airspace. The current market scenario depicts a wider market share acquired by the wide body aircraft (e.g., Boeing 767, 747, and 787 Dreamliner); however, over the forecast period, the narrow body aircraft (e.g., Boeing 737, Airbus 320, and Boeing 757) would gradually attain dominance due to optimal fuel management aspects. Owing to timelines, economies of flying, the comfort of passengers, and frequently changing oil rates, the wide body aircraft are estimated to lose their market share to some extent to narrow body aircraft. Business jets vary widely from propeller-driven aircraft to piston engine aircraft, which could be of the size of an SUV car. The scope of flight distance can vary from a few hundred miles to the ones capable of undertaking non-stop international flights for a count of nearly 6-10 people. North America is expected to witness an increasing demand for IFEC and wireless IFEC systems, owing to the improved high-speed broadband support substructure and the customizable features it offers to its users. North America is anticipated to capture the major portion of the in-flight entertainment & connectivity market. This can be attributed to the exponential growth in the data usage in the air and on the ground. However, the Asia Pacific market is expected to index the peak growth, owing to the seat-centric and wireless solutions being embraced by the growing number of airlines. The Asia Pacific IFEC industry is anticipated to witness a rapid growth due to the increasing consumer population. It is estimated that over 3 billion people in the Asia Pacific region would attain a higher living standard by 2020, thereby pursuing more air traveling, which, in turn, will thrust the economies of the IFEC industry. Upcoming favorable initiatives by the Federal Aviation Authority (FAA) in conjunction with Federal Communications Commission (FCC) have permitted the use of portable electronic devices (PEDs) inside the aircraft premises with certain regulatory instructions to be followed thereafter. These endeavors are expected to bolster the IFEC growth over the forecast period. Key industry participants include Thales Group S.A., Gogo Llc, Lufthansa Systems AG, OnAir, Viasat Inc., Global Eagle Entertainment Inc., Panasonic Avionics Corporation, Zodiac Aerospace S.A., Cobham Plc., and Iridium Communications Inc.
A recent trend has observed the surging mergers and acquisitions in connectivity service providers to provide an enhanced service portfolio with high-speed services at economical rates. A recent collaboration of Inmarsat and ViaSat Inc. verified this merger scenario in the in-flight entertainment industry, where a leading mobile satellite communications player, Inmarsat, collaborated with a digital communications provider in the military and commercial applications arena, ViaSat Inc.
IFE Products specializes in design, development and repair services for new and retrofit system installation designs to reduce the cost of ownership and save money.